Our homes are lifetime investments and they carry with them strong personal ties. I know that selling a home ranks among my clients’ most important experiences, so I strive to approach this task with sensitivity, concern, and competence. I believe that you should know the kind of service that you can expect from me from the moment you get in touch with me until your transaction is settled. I pledge to you, my client, professionalism in all aspects of the process with clear communication throughout the process. I need to develop a solid understanding and appreciation of what your home will offer to a prospective buyer. It’s your home; no one knows its features better. So, please know that I will be soliciting your input to develop a superior and effective marketing plan. It’s important that your real estate agent develops a solid understanding and appreciation of what your home will offer to a prospective buyer. It’s your home; no one knows its features better. So please know that I’ll be soliciting your input to develop an effective marketing plan. I will professionally determine the most likely selling price range for your property, within a reasonable time period, in today’s market. When applicable, we’ll also review potential problem areas and suggest improvements which will enhance the salability of your home. from—your home so that we can factually evaluate your market position. similar to what we market to our corporate relocation clients. People may ask anything for their homes. The price for which these homes actually sold, however, is of paramount importance in establishing a realistic range within which your home may be expected to sell. We work closely with banks and mortgage companies to help assist the appraiser in obtaining the highest possible price. We will consider direct competition in the market, your own immediate plans and needs, seasonality, buyers, seller markets, and pricing practices in your specific market. We will identify all of the usual charges and expenses which you can expect to incur during the selling process. There’s a lot for us to review during your marketing period and we want you to be knowledgeable and comfortable throughout the process. We’ll talk about everything from when the sign is posted to the appointment procedure to the MLS tour to the presentation of a sales contract to you. There are plenty of financing options available today. We’ll discuss Adjustable and Fixed rate options, cap rates, balloons, etc. so that you’ll be perfectly knowledgeable when the contract to purchase is presented to you. Furthermore, we can often obtain a higher sales price by strategically helping the buyer with their out-of-pocket expenses. If you’re staying in the area, we’re here to help. If you’re moving away, we will, at your request, have a competent broker contact you from that location. Thinking of Improving your Home? In this situation, the project is perceived as a necessary or worthwhile improvement to your family’s lifestyle. Say you have two or three teenagers in the family and the morning bathroom situation is completely out of control. It doesn’t matter if an additional bath generates a 150 percent return on; the economic impact just doesn’t matter. If you have the money for a new bath and you don’t want to move, you add the bath. It’s that simple. An even better example might be a pool. If you’re a person who simply has to have one, fine. Put in a pool. But it’s probably worth checking with a real estate professional first, just to make sure you fully understand that adding the pool might actually lessen the property’s value and make it more difficult to sell should you later decide to move. That’s the reality in many markets. That doesn’t necessarily mean you shouldn’t do it, especially if you’re planning to live in the home for the rest of your life. It just means it’s worth knowing the cost and salability impacts at the front end – even if they’re not going to deter you from pursuing the project. This type of home improvement project is pursued primarily to increase the property’s salability. In turn, this often increases your return on investment. A good real estate agent can advise you of possible improvements that will attract more potential buyers and even pay for themselves, either through increasing the home’s value or through shortening the time it takes to sell the home. While spending time and money on your home right before you sell it might not sound very appealing, it’s not uncommon for the right work to more than pay for itself in a higher selling price and shorter marketing time. 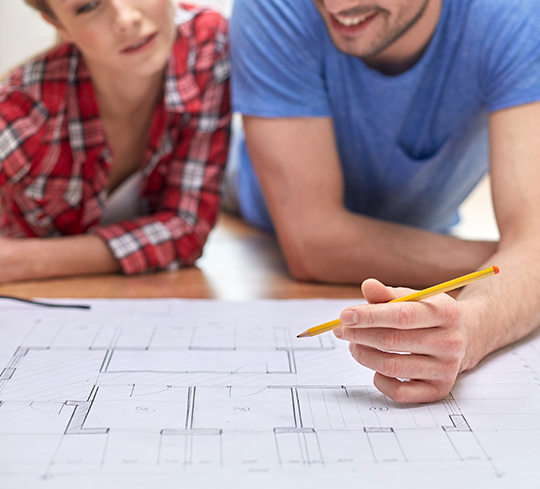 Consult with an experienced real estate agent to learn what improvements will make your home more marketable. Your Distinctive Properties Associate will keep you updated as to the status of the sale of your home. They will provided both written and verbal communication on a regular basis to keep you abreast of the market conditions and feedback from showings that may affect the sale of your home. With our preferred lender, we can offer highly competitive rates and costs for buyers and sellers alike. We can also provide professional guidance to both the buyer and the seller. Prospective buyers are registered in the Multiple Listing Service. Each time a new listing or buyer is entered in the MLS, the system crosschecks for matches and generates an email with the information. Distinctive Properties utilizes Showing Desk software. This program allows us to compare the showing activity for homes 10% above and 10% below a home's list price so we can contact the showing agent directly to make them aware of your property.